The vision of the COLE Dorothea F. Peterjohn Leadership Library is to serve as a leading resource of leadership and ethics for academics, practitioners and students. The Dorothea F. Peterjohn Leadership Library was created in 2005 with a generous donation in honor of Dorothea F. Peterjohn. Books on Leadership and Ethics that students, scholars, and business practitioners will find pertinent to their leadership development. 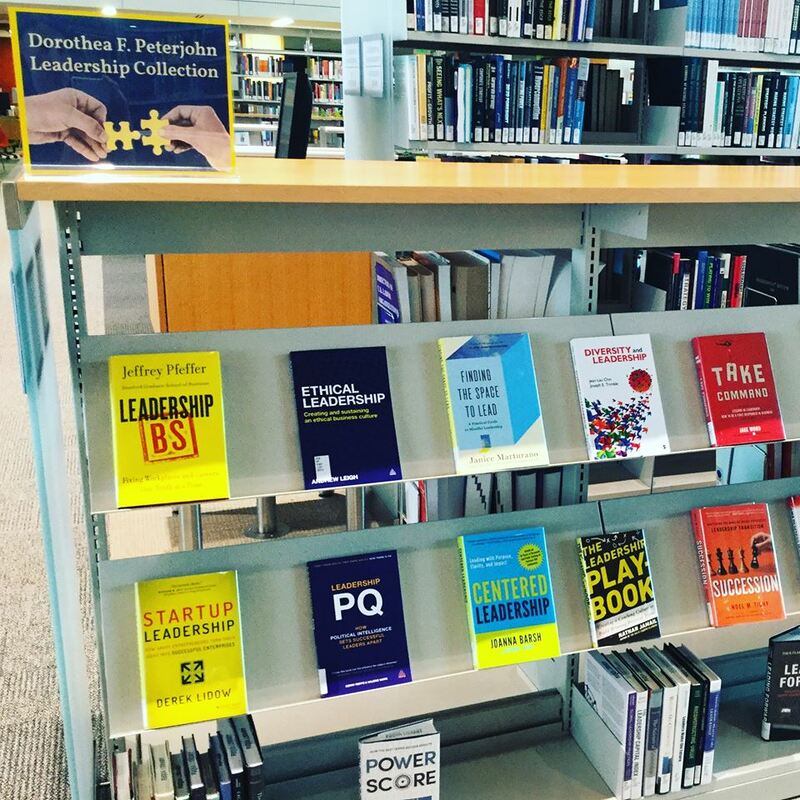 These 600+ books, articles and papers are available for circulation at the Fuqua School of Business Ford Library. A collection of published materials authored and co-authored by the Center’s management team and Center Scholars. A collection of videos from past COLE Leadership Conferences featuring prominent and thoughtful leaders in business, education, sports, and the non-profit sector, sharing their leadership insights and perspectives on issues of consequence. Watch on Fuqua on iTunes U.